The HD18859 was designed for ultra broadband high power linear applications; this amplifier utilizes high power Silicon MOSFET devices that provide wide frequency response and dynamic range, high gain, low distortions, and good linearity. 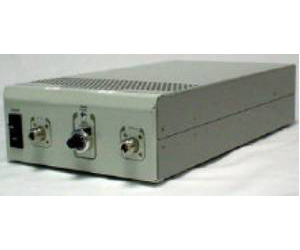 Employing advanced broadband RF matching networks and combining techniques, EMI/RFI filters, and all qualified components achieve exceptional performance, and high efficiency. The system includes a universal voltage, single phase, power supply and a built in forced air-cooling system.